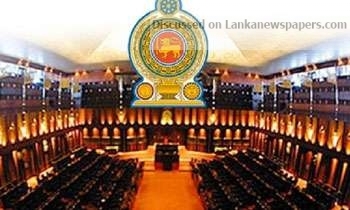 The Cabinet, which met at the Presidential Secretariat under President Maithripala Sisirsena, today approved a Vote on Account to cover the Government’s expenditure for the first quarter of 2019, a Senior Minister said. He said that Prime Minister Mahinda Rajapaksa as the Finance Minister submitted the Cabinet memorandum seeking the approval. The Government is to present the Vote on Account to Parliament for the approval soon, he said. Earlier, former Finance Minister UNP MP Mangala Samaraweera in a statement said that “the ‘illegal Government’ had no majority to pass a Vote on Account”. “A legitimate Government with an adequate majority in Parliament would have had the opportunity to present at least a Vote on Account, which would have covered at least the first three months of the new year, enabling payment of pensions, salaries, Samurdhi payments, and settlement of debts. “It is still not too late to re-establish the Government that commands the clear majority in Parliament to present a budget/Vote on Account to authorize expenditure from the consolidated fund from 2019,” MP Samaraweera in his statement said.